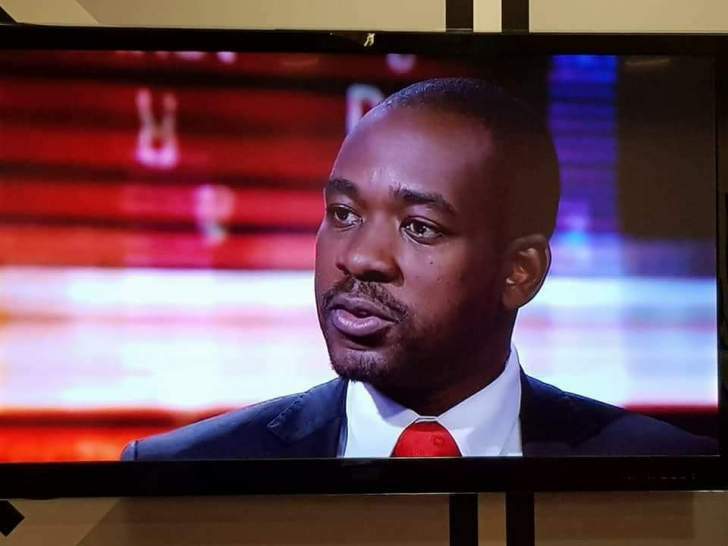 CHIEF Justice Luke Malaba has given MDC Alliance leader Nelson Chamisa a deadline of 12 noon today to file his answering affidavit in support of his petition to the Constitutional Court (ConCourt) challenging the results of the July 30 election won by President-elect Emmerson Mnangagwa. Justice Malaba issued the order in his chambers on Thursday as the court's nine judges prepare to determine the highly contested matter on Wednesday next week. "The applicant (Chamisa) is to file and serve the answering affidavit simultaneously with heads of argument on the respondents (Mnangagwa and 21 other losing presidential candidates, the Zimbabwe Electoral Commission (Zec) and its chairperson Justice Priscilla Chigumba) by no later than 12 noon on Saturday August 18, 2018," the order read. "The respondents are to file and serve heads of argument by no later than 10am on Monday August 20, 2018. (4):- The respondents who are all within their dies induciae (time limit) are free to file and serve their documents in the matter. (5):- All documents referred to herein are to be served by the Sheriff and (6):- Consolidation of the record is to be attended to by the Registrar at 11 am on Monday August 20, 2018. All parties are expected to attend." The MDC Alliance leader petitioned the court seeking nullification of the presidential votes, claiming he garnered 2 674 032 votes against Mnangagwa's 2 008 639. In his founding affidavit, Chamisa claims that about 700 000 votes remained unaccounted for and as such the results declaring Mnangagwa winner of the presidential elections were dubious. "The votes announced by Zec however, give a total depending on whether one considers the announcement or that on the CD, some 4 775 640 and 4 774 878 respectively. That means from the results announced by Zec, more than 700 000 votes cannot be accounted for. Obviously, that huge figure materially affects the outcome of the election," he said. The youthful leader also alleges there were a number of irregularities, which included double counting of votes and embarrassing mathematical errors which were significant to affect the outcome of the poll. Chamisa claims he was robbed of a win through mathematical errors by Zec. But Mnangagwa dismissed the opposition leader's averment, saying his victory was based on his preparedness and the will of the electorate. In his founding affidavit, Mnangagwa said Chamisa's application was not bona fide, but simply meant to delay his inauguration and to also find an opportunity to make political statements in court. Chigumba also dismissed Chamisa's victory claim, arguing that the electoral body had carried out its mandate according to law and that its findings and decision in favour of Mnangagwa was final. In his founding affidavit through his lawyers, Charles Nyika and Tawanda Kanengoni, Justice Chigumba said the electoral body followed all the processes as provided for in the electoral law, relating to collation, verification and announcement of presidential election results. Chigumba also said "the hacking of the electronic voters' roll that the electoral commission affords to the public has resulted in a denting of the credibility of the voters' roll�?". "There is no basis for the allegation that the provision of sample ballot papers, which was done for every political party contesting the election, created fertile ground for rigging through ballot swapping and stuffing," she said. "Thee sample ballots are clearly marked "sample" how such a ballot could be swapped and pass for the actual ballots used in the election is again not explained by the applicant. Further still, the counting process at the close of the poll is witnessed by polling agents and election observers, if any instances of sample ballots having found their way into the ballot boxes, as the applicant alleges, existed, surely the thousands of polling agents and scored of election observers across the country would have picked that up during the count." Chigumba also dismissed claims that polling stations disappeared on the polling day and challenged Chamisa to state the names of the said stations. "No polling station disappeared on the polling day. The applicant does not state the names of the polling stations that he alleges to have disappeared on the polling day. "No polling stations were created on the polling day. 1HRDC and 2HRDC that the applicant cites as examples of created polling stations are in fact not polling stations. The former stands for ward 1 Hurungwe Rural District Council and the latter stands for ward 2 Hurungwe Rural District Council," Chigumba said.